Here’s a touching story that proves even rock stars can have big hearts. Alicia Portman of Cincinnati, OH is just about the biggest Aerosmith fan you’re likely to find. She knows all of their lyrics, she has all their albums, and she’s even seen them in concert 15 times. Sadly, Alicia was born with a rare heart defect and was told last month that she had just two weeks left to live. 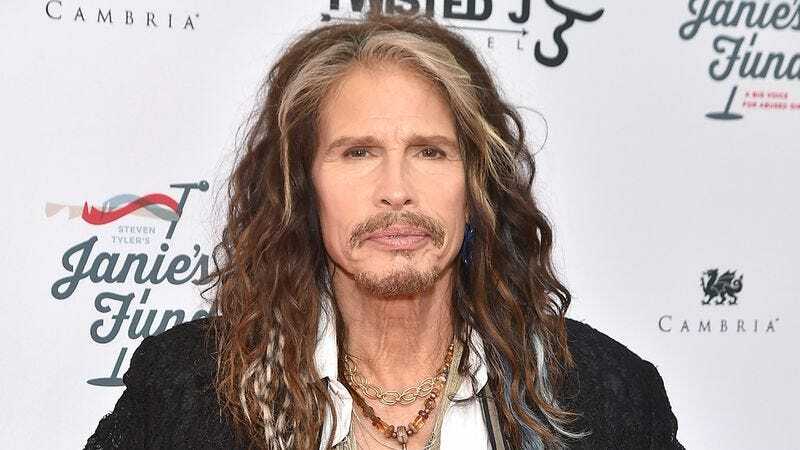 The next day, Alicia’s story reached Aerosmith frontman Steven Tyler, who was so moved that he decided to give her something very special: a personal letter listing a bunch of better bands for her to try and get into in the short time she has left. Wow. What a beautiful and thoughtful gesture! Tyler then goes on to list 130 bands that put Aerosmith to shame, including massive stars like Guns N’ Roses and Metallica and cult favorites such as The Sonics and MC5. Steven even went out of his way to make notes for each band describing their sounds, listing their best songs, and explaining in detail what exactly makes them better than Aerosmith. Rock stars, take notice, because this is how it’s done. By taking the time to give her a bunch of bands that are better than Aerosmith to check out before she dies, Steven has made one of his biggest fan’s dreams come true. And that’s pretty awesome.